Founded in 2007, Crosscut was a pioneer in the national landscape of local, online-only news outlets. Working out of coffee shops and hole-in-the-wall offices, its small team of writers broke fresh ground on topics such as transportation, homelessness and the reshaping of the urban landscape. As other news outlets downsized, Crosscut moved into beats that were being abandoned, including city and state government. The work began winning awards and getting noticed, especially in the halls of power. In 2015, Crosscut merged with KCTS 9 public television under the umbrella of a single nonprofit called Cascade Public Media. 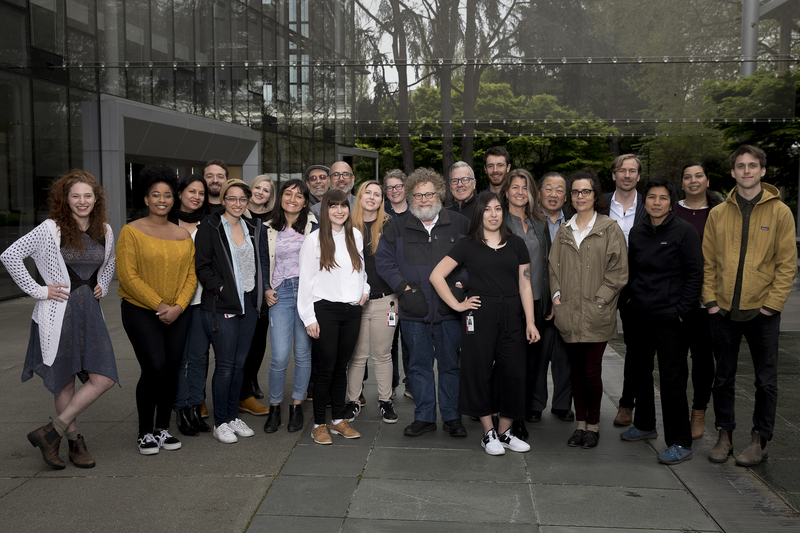 Today, our combined staff of reporters, video producers and web developers fills an essential role in the Northwest’s news ecosystem, focusing on politics and public policy, race and equity, arts and culture and the environment. We tell stories and provide context and analysis that helps people understand our fast-changing region and how they can be a part of shaping it for the better. • Spotlighting solutions: While one of journalism’s central jobs is to shine a light on wrongdoing and injustice, we believe it is critical to go one step further and examine possible solutions to our thorniest problems. • Collaborating and sharing: To maximize our reach and impact, we drive powerful collaborations among media organizations, and work closely with local nonprofits to access new audiences. Our articles, videos and multimedia reporting are often made available at no cost to other regional news outlets. • Engaging our community: From our solution-seeking Community Idea Labs and the annual Courage Awards breakfast to the innovative Crosscut Festival, we create spaces for inclusive, civic discussion about the most pressing issues of our day. • Measuring impact: We closely monitor not only online audience engagement and television viewership, but also social media activity, attention from key community and political influencers, shifts in the regional civic and political dialogue, and public policy reform. We welcome reporting and editorials on a range of topics regarding Seattle, Washington state and the Pacific Northwest. We prize writing that informs and illuminates the people and problems facing our region in a clear and original way, and that highlights potential solutions. Read about pitching news stories and features here, and find our guidelines for commentary pieces here. If you have an idea for a story you’d like us to write, use our Tips and Story Ideas form. Please do not use this form to submit press releases. Send those to editor@crosscut.com. For all other inquiries, email editor@crosscut.com. As a public media organization, Crosscut is committed to presenting a diversity of voices and perspectives through the stories we produce. We invite our readers to participate in an active and respectful discourse through our comments feature. All comments will be regularly moderated on our website; if we deem a comment to be inappropriate it will be deleted. In cases of repeated violations, we reserve the right to ban commenters. We accept gifts, grants and sponsorships from individuals, organizations and foundations to help with our general operations, coverage of specific topics, and special projects. Our news judgments are made independently — not based on or influenced by donors. We do not give supporters the rights to assign, review or edit content. To learn about current job openings and internships at Crosscut, visit our Jobs page.